View of the beautiful Knysna wetlands. Knysna is a tourist town in the Western Cape of South Africa. The lagoon and pier are visible in the distance, as the sun rises over the faraway hills. The year might have only started but you're feeling like you need a break already? Not to worry - Travel trends for 2019 show the concept of micro-tripping is firmly on the radar for many global travellers this year. Recent industry studies show that global travellers are more into weekend trips right now. Less is more as travellers are offered a more bespoke experiences, which costs less and packs a fair amount of relaxation into a short amount of time. This concept of shorter breaks more often also allows you to travel your own country, discovering unique and wonderful places and faces practically on your doorstep. You live in South Africa - considering that some 6m travellers traversed our borders in December alone - you are decidedly in the pound seat, so to speak. ALSO SEE: More than 1,4bn travellers on the move globally in 2018, but what about SA? Alpine Heath Resort is the perfect base from which to explore the Drakensberg region in KwaZulu-Natal. This resort is every adventure sport enthusiast's dream destination. For younger or more relaxed guests there's a 'funtastic' variety of children's entertainment, a daily adult's activity programme and a superb Spa onsite. The Oyster Box is ideally located on Umhlanga's beach overlooking the ocean and iconic lighthouse. Nearby attractions include Ushaka Marine World, excellent golf courses and the Moses Mabida Stadium. Finest luxury accommodation cater to the needs of business and leisure travellers. This elegant hotel in Umhlanga offers you a concierge service, banquet room, fitness centre, spa, swimming pool, babysitting, children's activities, laundry service and a 24 seater movie theatre. A royal hideaway offering exceptional service and luxury, amidst the African landscapes and breathtaking big five wildlife of the Amazulu Private Game Reserve. Here, time belongs to the rhythm of a timeless African beat and guests are given their own private kingdom. Amakhosi is a majestic destination where imperial treatment is customary, where no day is the same. From scintillating night safaris to culinary delight, Amakhosi offers an African Safari holiday like no other. Fairmont Zimbali Resort, situated inside the exclusive Zimbali Coastal Estate, is a tranquil retreat offering the utmost in stylish comfort and unrivalled service. Located 5 minutes from the bustling holiday town of Ballito, 20 minutes from Umhlanga and 30 minutes from Durban, this beachfront North Coast hotel provides easy access to the province's attractions. The Paxton Hotel is situated in Port Elizabeth, affectionately known as the 'friendly city' of South Africa. The hotel overlooks the harbour offering magnificent views of Algoa Bay. Stretched out across the gentle hills above the Sun City Lake is the most relaxed and casual of Sun City's four hotels. The newly refurbished Cabanas hotel is situated at the Sun City Waterworld Lake, offering guests a contemporary twist and great 'base' to explore the resort. Black Rhino Game Lodge is a hidden treasure set within a Tamboti forest at the foot of an ancient volcanic crater within the 58 000 ha Pilanesberg National Park. This area has become renowned as one of South Africa's most exciting big five eco-tourism destinations. A mere 33 km from Sun City this malaria free safari destination is within easy reach of Gauteng and the Johannesburg International Airport. Riverside Sun, located on the banks of the Vaal River, is just 45 minutes away from central Johannesburg. The hotel provides a country setting in Vanderbijlpark which is ideal for corporate getaways, teambuilding days and planning sessions. Versatility, combined with professional conference facilities, ensure that the requirements of business guests are not only met, but exceeded. Nestled peacefully in the magnificent Malaria free Waterberg Mountain Range, a mere two hours' drive from Johannesburg, making this the perfect escape for the bushveld connoisseur, romantic at heart and families alike, offers a relaxing haven, surrounded by natural indigenous bush, a Big five safari experience and excellent conferencing facilities. Nestled amongst the ruggedly beautiful Magaliesburg Mountains, merely an hour's drive from Johannesburg or Pretoria, with sweeping views of the valley and boasting some ten acres of manicured gardens and pristine bushveld, the sprawling property is a balm for the city weary soul. A beautiful little gem perched on the outskirts of the quaint Lowveld hamlet, White River. Once the original homestead of a local avocado farming family this charming small hotel has been entirely designed to offer luxury travellers an enveloping atmosphere of boutique style and proportions. 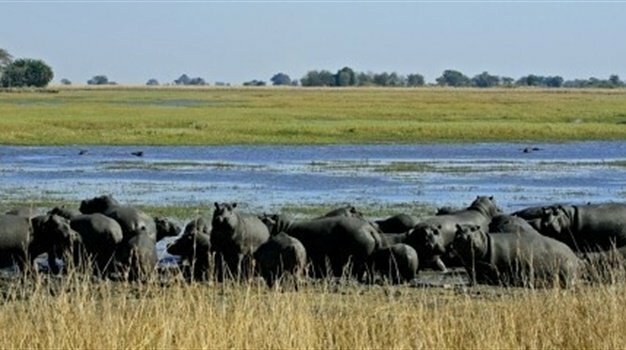 Perched on the banks of the Crocodile River and surrounded by thousands of hectares of raw African wilderness, it is here that the paths of predators and prey cross. It is here that you are assured of a breath taking wildlife experience. From the first friendly welcome, to your journey of discovery through the African bush with an experienced game ranger at your side, to the individually decorated luxury bedrooms, Mjejane River Lodge is a truly unforgettable destination. Sabi Sabi Private Game Reserve is an award winning private game reserve offering world-class standards in luxury accommodation, exceptional close wildlife encounters, personal service and delicious cuisine. The reserve is home to the 'Big Five' (elephant, rhino, lion, leopard and buffalo), as well as cheetah, wild dog and hundreds of other species of animals, birds and plants indigenous to the area. Highly trained and experienced rangers and trackers ensure that your safari experience ranks amongst the best in the world. You can look forward to fantastic close-up experiences with Africa's wildlife on every game drive. Reminiscent of an Out of Africa experience, a stay at Hamiltons Tented Camp is one that will remain etched in memory, much like the contribution the lodge's namesake, James Stevenson-Hamilton, made to the national park the camp now calls home for more than a century on. Situated in the historical town of Clarens in the Eastern Free State, only a three hours' drive from Johannesburg and a four hours' drive from Durban. Mont d'Or Hotel, Spa and Conference Centre is surrounded by the natural beauty of the Maluti Mountains. Mont d'Or Spa offers a fantastic spa experience. The restaurant offers sumptuous cuisine made with freshly harvested local ingredients. Situated in the exclusive suburb of Bantry Bay, the President Hotel is a peaceful haven just a step away from the buzz of Cape Town's CBD. The infinity pool and comfortable sun loungers, with panoramic views of the Atlantic Ocean and Lion's Head, makes poolside at the President Hotel the perfect place to unwind. Just meters away from the historic town centre, Mont d'Or is an easy walking distance from Franschhoek's enviable variety of restaurants, museums, monuments, exclusive shops and art galleries - and the famous wine tram, of course. At the hotel spa you can enjoy therapeutic massage styles that can help relieve stress, and improve posture and circulation in the body. The Mont d'Or Swartberg Hotel is a national monument steeped in 150 years of history. Situated at the very heart of the small town of Prince Albert in the Western Cape, it is the perfect destination from which to enjoy the vast open expanses of the Karoo's breath-taking natural beauty. Absorb the awe inspiring night skies or visit the renowned destination of Oudtshoorn only a 40 minute drive across the majestic Swartberg Mountains. The Le Franschhoek Hotel and Spa, situated in the heart of the Cape Winelands in the small village of Franschhoek, offers exquisitely luxurious hotel accommodation and a truly unique Winelands hotel experience. Each suite boasts breath-taking views over either the towering Franschhoek Mountains or manicured gardens. Huddled at the foothills of Stellenbosch in an exclusive residential cul-de-sac Majeka House exudes 'boutique life' at a whole new dimension. The town of Stellenbosch with its alfresco cafe street culture, award winning restaurants, modern galleries and art studios sets it apart as a unique historical settlement and renowned wine region. This prime locality combined with a blissful stay, selfless service, a world class restaurant, bar, lounge, bespoke spa and spacious grounds is what makes this undoubtedly one of the most stylish 'boltholes' in the Cape Winelands. 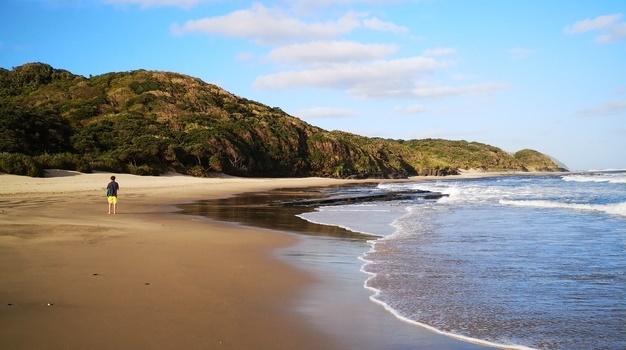 Oubaai Hotel Golf and Spa is located less than seven minutes' drive from George Airport in an area renowned for its pristine beaches, indigenous forests and nature reserves. The stunning natural landscape is matched by the exceptional levels of service in one of the most beautiful luxury hotels South Africa has to offer. Tsitsikamma Village Inn is situated in quaint Storms River. This unique village-style accommodation is nestled in the unspoilt surroundings of the Tsitsikamma area. It has an outdoor pool, and offers complimentary Wi-Fi and private parking. For entertainment, there is a games room with table tennis and a pool table. Guests can enjoy activities such as the Segway forest tours, tree top canopy tour and more. Whalesong Hotel and Hydro is nestled on a hill in a lush, landscaped garden above Plettenberg Bay, the jewel of South Africa's Garden Route, renowned for its unique scenery and moderate climate. From its vantage point, the Hotel offers breathtaking views of the Keurbooms coastline and Tsitsikamma Mountain Range.